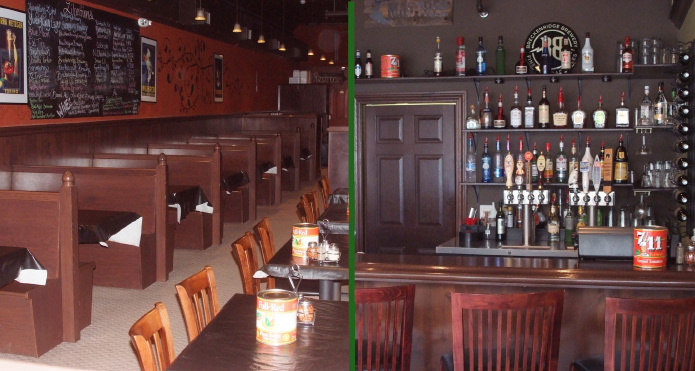 Michael’s company was founded in 1997, when he opened Michael Angelo’s Pizza in Kenton and a second location in 2003 in Rushsylvania. Expanding again in 2011 he opened Six Hundred Downtown as a good old fashioned pizzeria, the way he says they used to be and the way they were meant to be. “We feel that pizza making is an art and we strive to create the best pizza we possibly can. We hand spin our pizzas the old fashioned way and we bake our pizzas in an old fashioned brick oven. Each pizza is hand-crafted just for you. Yes, your pizza may have a little char on it or a little burnt spot here or there, but that is the way pizza is supposed to be.” The name of the restaurant came from 600º Fahren-heit being the starting point for baking his three distinctly different styles of pizza: Classic Italian, Detroit Style, and Chicago Thin Crust. 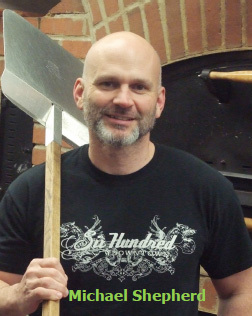 Michael is a four-time World Pizza Champion and three-time U.S. Pizza Champion. He was personally involved in pizza competitions such as pizza making, acrobatics, fastest and biggest beginning in 2002 until he retired from competitions in 2009. He has won 8 international medals of which 7 are gold, many silver and bronze medals and encourages his staff to participate. They have continued his winning traditions: assistant general manager Brittany Saxton has won 5 gold medals at the World Pizza Games in Las Vegas, general manager Nathan Sickmiller won 1st place with their Tonto Detroit style pizza this year and 3rd place last year with the same at the North America Pizza & Ice Cream Show, and assistant manager Daulton Cornell won 1st place with Six Hundred’s Mad Hatter pizza in its division at the International Pizza Challenge in Las Vegas, NV. Michael has been featured on the Food Network, Discovery Channel and has traveled the world doing acrobatic pizza shows with his team, the World Pizza Champions. Logan County Chamber of Commerce would like to recognize Michael Shepherd for his investment and commitment to this community and to the Chamber. 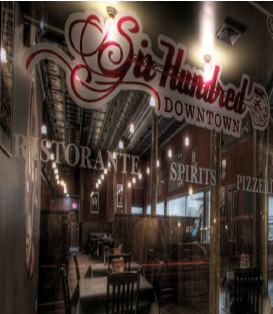 We congratulate Six Hundred Downtown, Michael and his entire staff on being February’s Business and Entrepreneur of the Month!